Booking a seat at your favourite workspace in few minutes. 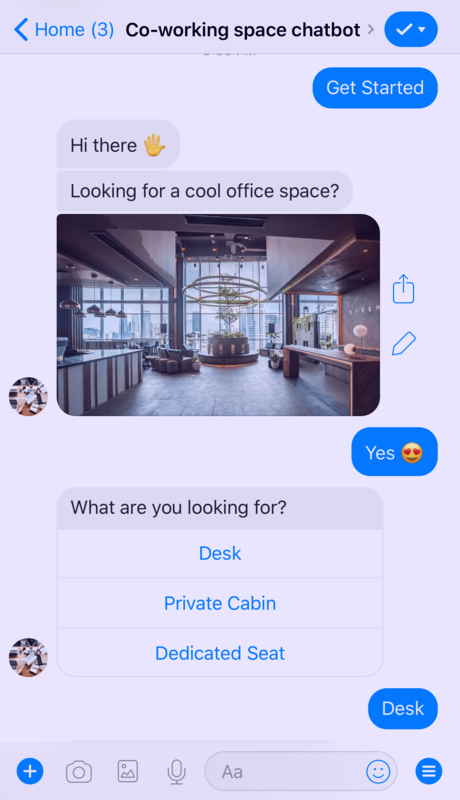 This super simple template helps customers make a booking directly through Facebook Messenger, have a seat at their favourite workspace and get confirmation quickly with the workspace manager. They will also be notified whenever there is a promotion deal, an interesting offer, etc. On the other hand, the businesses will get notification immediately when an order is placed. 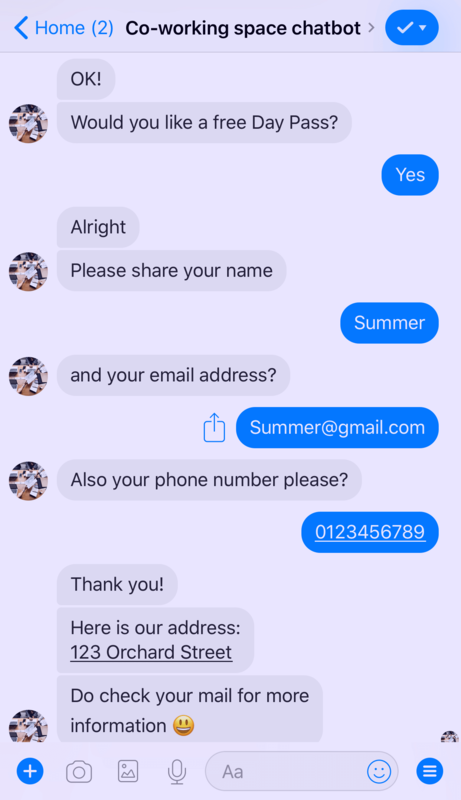 Also, they can take advantage of chatbot to introduce their brand, promote their service more convincingly to customers.